The contemporary concert guitar scene, its history, and how composers write for the instrument has been difficult to understand and explore. The history, notation, available techniques, have been so wide-ranging and yet there has been so little in the way of legitimate and available resources for the general public or even performers. Combine this fact with the fringe nature of some new music trends and the scene can be a tough nut to crack. However, things are looking up and are continuing to get more organized with new publications such as this one. 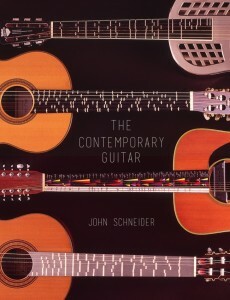 This book, The Contemporary Guitar, by the excellent scholar, producer, and guitarist John Schneider is a big step forward in terms of understanding the contemporary guitar and its history. This updated and expanded second edition is a huge achievement. Along with Seth Josel’s recent release The Techniques of Guitar Playing, we now have a much better understanding of the major developments, available techniques, compositional devices, and an overview of notation used for extended guitar techniques. Conclusion: The Contemporary Guitar by John Schneider is one of the most in-depth and knowledgeable books about the contemporary concert guitar and its literature. From new musical language, notation, and the physics of sound to microtonality, instrument design, and historical surveys of the literature, this book is exactly what the guitar world needs. More importantly, this book will help non-guitarists and composers embrace the guitar for its unique possibilities and understand its historical and current legitimacy as a concert and new music instrument. The Contemporary Guitar traces the extraordinary rise of the instrument in concert music over the past century. Though recognized worldwide as a popular music icon, the all-to-recent time when the guitar was looked down upon as a second-class citizen in the world of “serious” music is finally past, and it can now be found in the scores of the most important composers. The guitar’s rightful place in chamber music, orchestral music, or as a solo instrument is now without question, whether in the classic acoustic form or the more recent electric version. 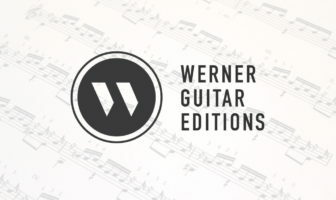 While the guitar has stood in the vanguard of musical experimentation, its many new techniques and notations remain a mystery for many composers and players. In The Contemporary Guitar, musician and scholar, John Schneider explains each class of technique and illustrates them with examples. Moreover, because the guitar is easily refretted, it has also become a leading instrument in the exploration of the relatively new musical language of microtonality. In this revised and enlarged edition from the original work of three decades ago, Schneider adds a broad-ranging, entirely new chapter on the instruments, notation and repertoire with insights into the interpretation of historical works through the application of accurate contemporary tunings and temperaments. The guitar’s unique timbre—its tone color—is one of the most versatile among modern instruments, both acoustic and electric. Most players who intuitively explore the subtleties of tone color will find outlined in The Contemporary Guitar the specific principles of physics that determine these subtleties which, once mastered, permit guitarists to control more completely the expressive palette of their instrument. Designated the Rational Method of Tone Production by its author, Schneider defines in great detail the timbral characteristics of acoustic and electric instruments from theoretical, physical, and musical viewpoints. Players in search of new repertoire will find an historical survey of the literature, an exhaustive list of new music, and a multitude of techniques for bringing such music to life. The Contemporary Guitar provides audio examples online for those seeking to discover new sounds and includes the notation to perform them.